Hollybeary Creations : Happy Mail Swap Box Peek! Happy Mail Swap Box Peek! Hello everyone... Today I'm sharing a peek at my Swap box for the Right at Home Fall Happy Mail Swap. I can't wait to see more peeks of what everyone put together. 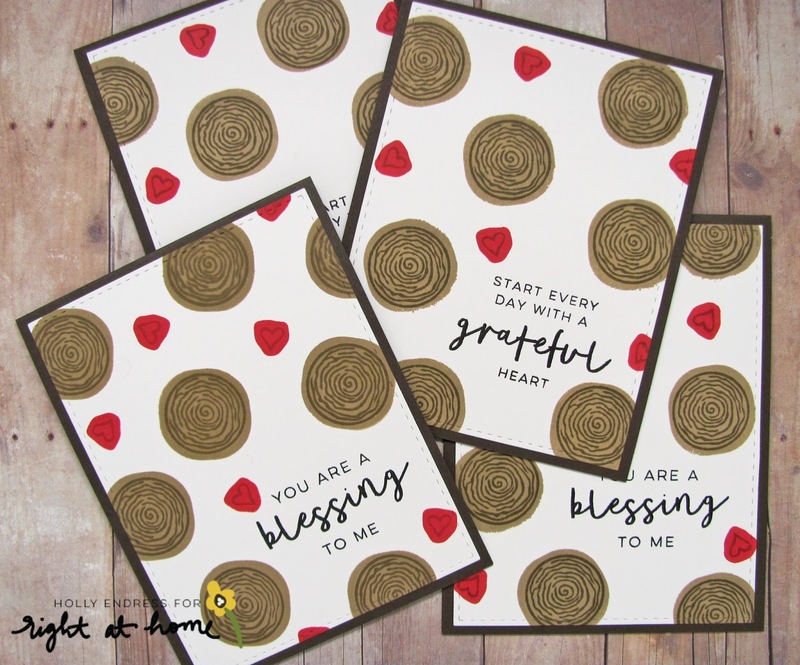 I created two sets of cards for my box using the Right at Home Grateful Heart set. I like to reuse packaging.. I'm kinda weird like that. Ha Ha so I reused a box I had on hand and some tissue fluff for the inside of my Swap Box. 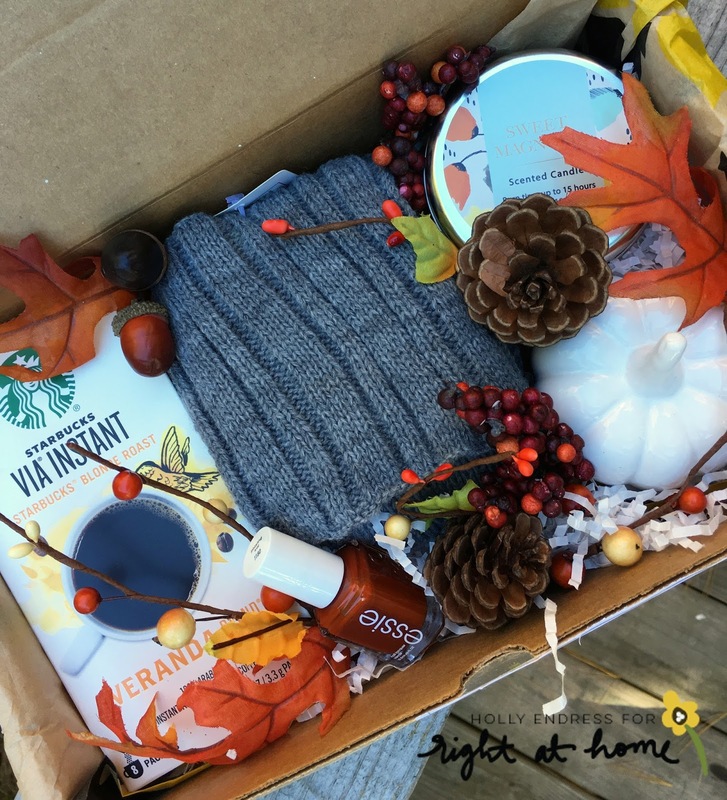 I filed my box with some cute things perfect for Fall and I knew a little about my Swap partner so I was able to personalize it a little. 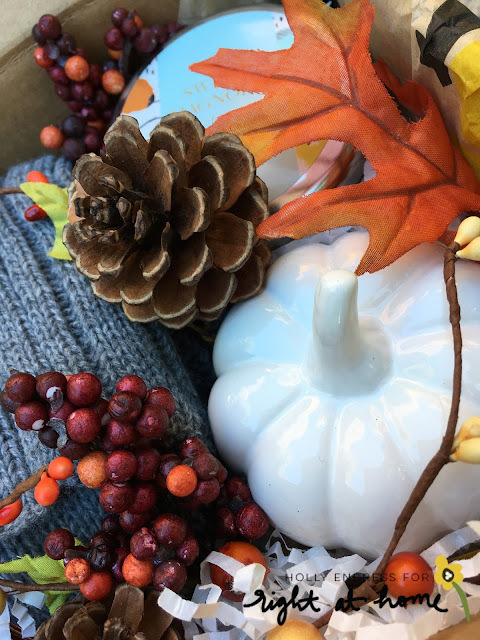 There's a scented candle in a tin and this cute ceramic pumpkin. This would be a cut decoration for her craft space or just an addition to any Fall decor. 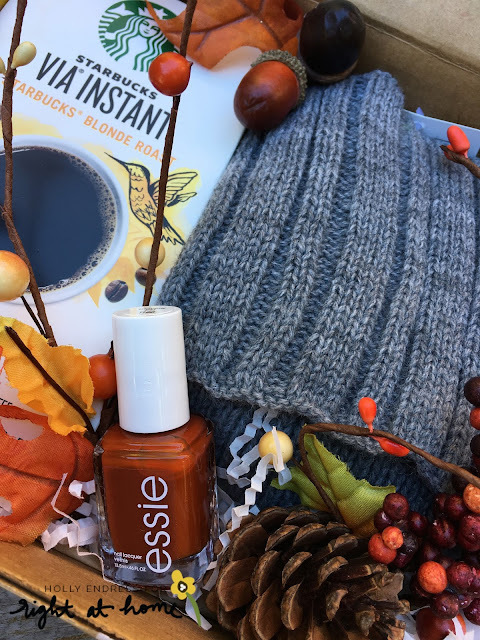 Not pictured is some Candy Corn M&M's because you gotta have a little something sweet! I hope everyone is having fun putting together their boxes. Head over to the Right at Home blog for a look at more boxes going out. Maybe one of them is yours!